KILLINGTON – Killington Mountain Resort welcomed back the POC Eastern States Cup with a three race series this past weekend. The Eastern States Cup is an officially sanctioned event by USA Cycling for Mountain Biking. It was an “East Coast Showdown” of the top mountain bike athletes, officially called the USAC Regional Championship Series, East Coast Showdown – VT State Championship. The three races were headquartered out of the K-1 Lodge at Killington Resort. Hundreds of athletes competed in professional and amateur categories. 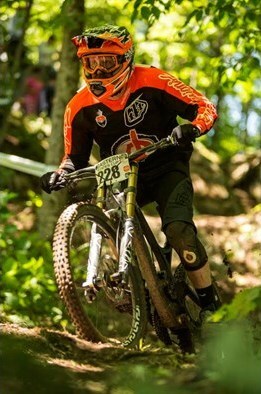 The first race, Saturday, July 5, was the Enduro Cup, followed by the SuperD Cup and the Downhill Cup races on Sunday, July 6. For more information visit www.killington.com.